"This new reality—this new normal—demands an entirely new approach to unionism: an approach that is relevant and appropriate to the 21st century; an approach that is creative and visionary, and unifies the people we represent and those we serve—our students, our patients, our families and our communities. Solution-driven unionism." 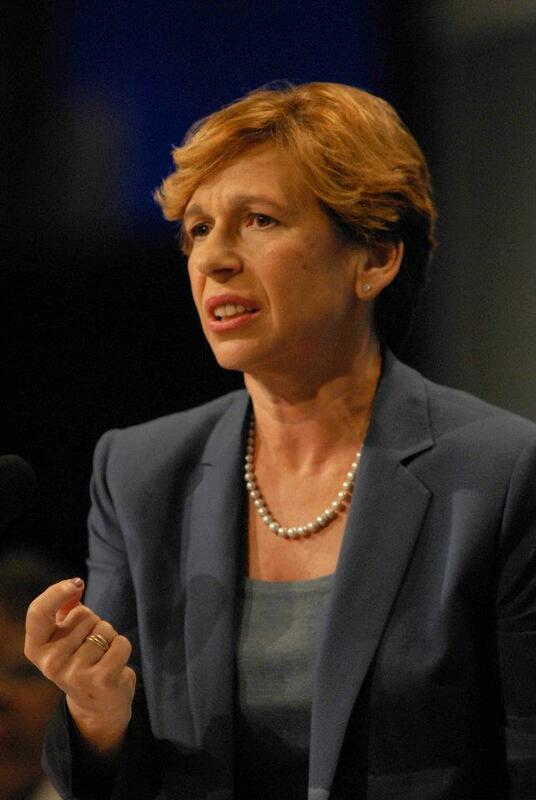 - Randi Weingarten's remarks at AFT's 2012 Convention. a freeze on all managerial salaries including any increases or longevity payments Dr. Cole was slated for this year. Instead, the board voted to increase tuition and give raises to managers. To read his full statement, click here. Voting on our Contract Ratification will take place in September. Only full dues paying members can vote and ballots will be mailed on September 7, 2012 by US Postal Service. If you have recently moved, please contact the AFT Local 1904’s office to update your information – ext. 4453 or union@mail.montclair.edu. If you are not sure if you are full dues paying member, please contact Linda Turano, AFT Local 1904’s Office Manager to find out – ext. 4453 or email us at union@mail.montclair.edu. If you are not a member, i.e. an Agency payer, and want to vote, contact us immediately and we will get a membership card to sign, or you can print out a copy of the form, sign it and bring it to AFT Local 1904’s office (College Hall 314A) by August 28th at 12:00 p.m. to be eligible to vote. Hand delivered ballots must be received no later than September 28th at 3 p.m. in the Council of NJ State College Local office and mailed ballots must be post marked no later than September 28th. Ballots will be counted on October 3, 2012. To read the details of the Tentative Agreement, click here. The Council of New Jersey State College Locals reached an accord late Monday that protects working conditions for more than four thousand full-time faculty, librarians and professional staff at all nine state colleges and universities, according to College Council President Nick Yovnello, the Assistant Director of Library Services at Rowan University. Yovnello characterized discussions as the most difficult in his 40 years of bargaining, but after intensive multiple sessions in June, the four-year accord grants pay raises comparable with other state unions, increases in summer session and overload rates and more stable funding for professional development. To read more about the Tentative Agreement for 2011-2015, click here. Time: 1 p.m to 3 p.m.
Main Topic: Statewide Negotiations Update. Agenda to follow. Full membership for any retiree who was part of an AFT local is only $20 per year. The retirees host four luncheon meetings a year to keep members up-to-date on pertinent issues and to elicit support for AFT issues. There are also four newsletters a year with information relevant to members. See more information and a membership form on the retirees web site. Nicholas Yovnello, a Monroeville resident and president of the Council of New Jersey State College Locals, was killed in a two-car accident in Sewell on Saturday afternoon. He served as a professor and assistant director of the library at Rowan University, Glassboro. Most recently, he played a significant role in negotiating a tentative agreement between the Council and the state, representing faculty and staff at public institutions across who have been working for more than a year without a contract. His obituary appears in The Times of Trenton and on the CNJSCL's website. Friends and relatives are invited to attend a viewing at the Danks-Hinski Funeral Home, 125 North White Horse Pike, Lindenwold, NJ 08021, Friday, July 13, from 9:00 AM to 12:00 PM. A service will follow at noon. Internment will be at Calvary Cemetery, 2396 Marlton Pike West, Cherry Hill, NJ. Nick’s family asked that well-wishers make donations to the Rowan University Foundation - Nicholas Yovnello Scholarship Fund, in lieu of flowers. The Fund’s website can be found at https://giving.rufoundation.org.